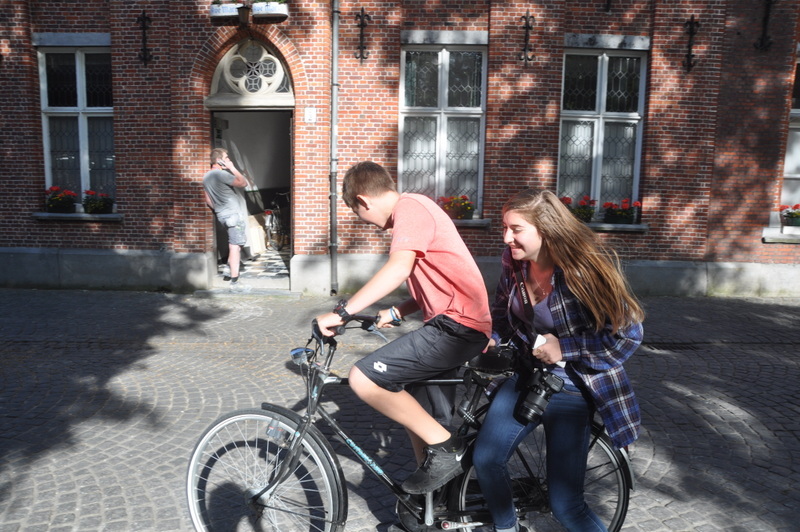 Drew & Noah on a bike in Bruges. So, we have finally arrived at the final stop on this global journey. The car has been returned to the dealer and we are settled in our little flat in Paris. The apartment is about 1 mile from Notre Dame and in a really nice little neighborhood. We have plans for dinner with an old family friend who currently lives in Paris, so we should get a good overview before we start touring tomorrow. We already have tickets to the Louvre and the Museum D’Orsay, so we will be visiting those two museums before we head home on Sunday. As for our last day in Bruges, we did make the most of it. We spent the morning relaxing and the kids doing some schoolwork and headed into town around 4 pm. Ilise and Noah took bicycles while Drew and I walked into town. 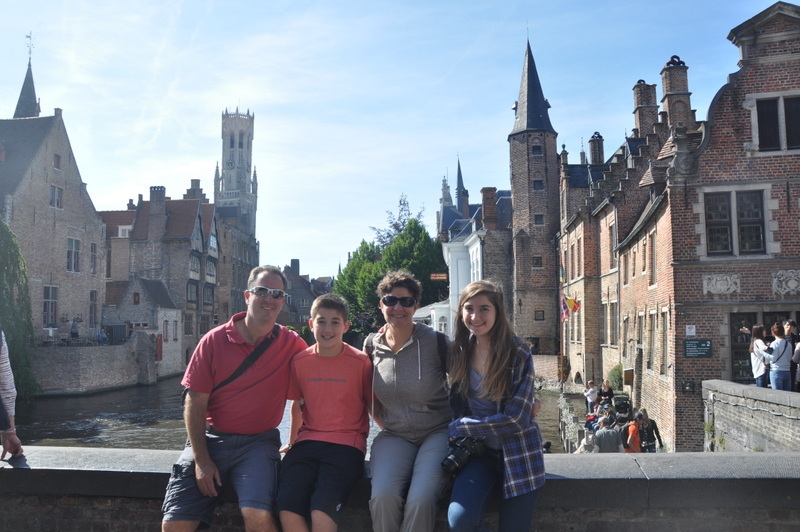 We first stopped for some ice cream and then started on a little journey around the central square of Bruges. We took some pictures in the square and then went to take a boat ride around the canals. It turns out that we were able to get on the last boat ride of the day. The ride we really cool and we got to see much of the main parts of the city from the water. The pictures were beautiful from the water as well. After the boat ride we did a quick tour of the southern portion of the city before heading to a little pasta take-a-way shop called Bucca. We ordered our food and took seats at a long table with a bunch of other travelers. 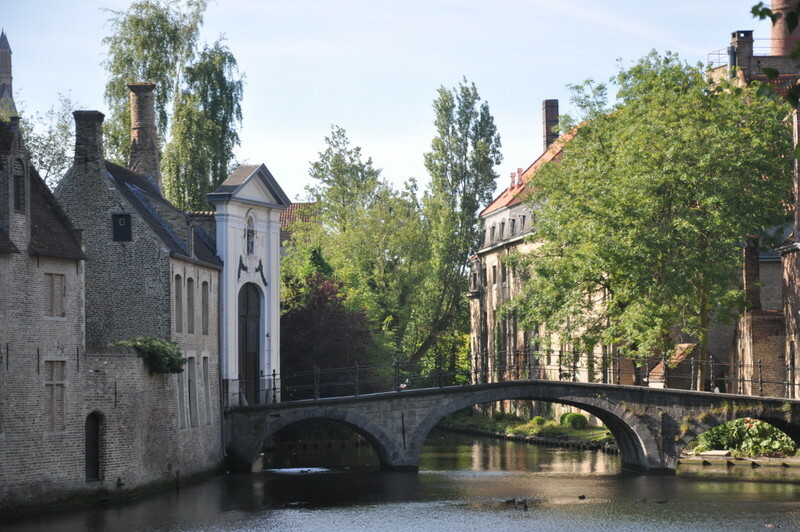 Most of the people in Bruges are tourists, so not many locals in the places we visited. Sitting next to us were 4 young women speaking Spanish and Ilise asked where they were from. For the next 25 minutes we were talking with these young ladies from Mexico. They were so excited to hear about our trip and one of them travels to San Diego on a regular basis to Fashion Valley and other shopping destinations. We enjoyed our conversation and then headed back to the apartment to watch a movie before getting to bed. We woke the kids up a little after 9 am and were on the road by 10. 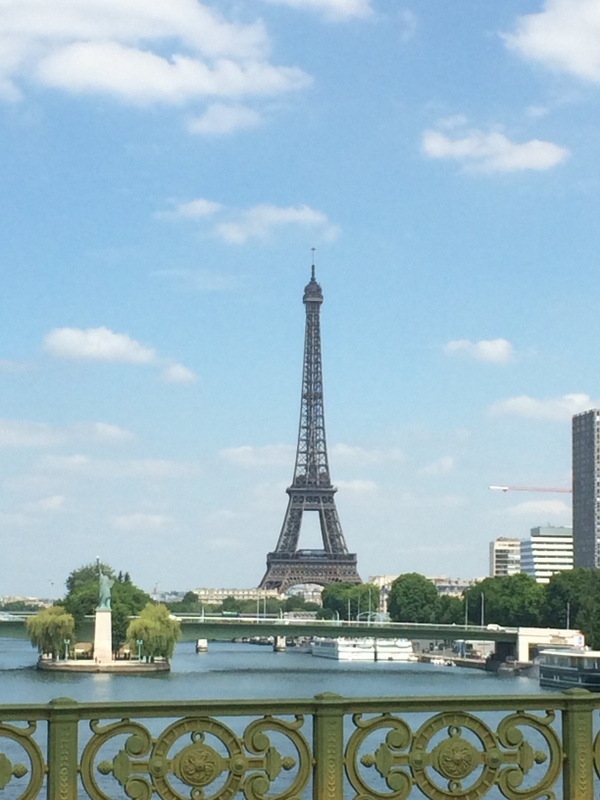 With a 3 hour drive we made it to Paris at around 1:15 pm. There was very little traffic going in the direction we were headed, although the traffic in the other direction was horrible at a few points. I dropped Ilise and the kids off at the new apartment and headed off to the car return center to return our short-term lease Renault. I arrived at the car return center around 2:30 pm and after returning the car I had a choice to take the Metro and be back in 20 minutes, or to walk and get some exercise for the next 2 hours. 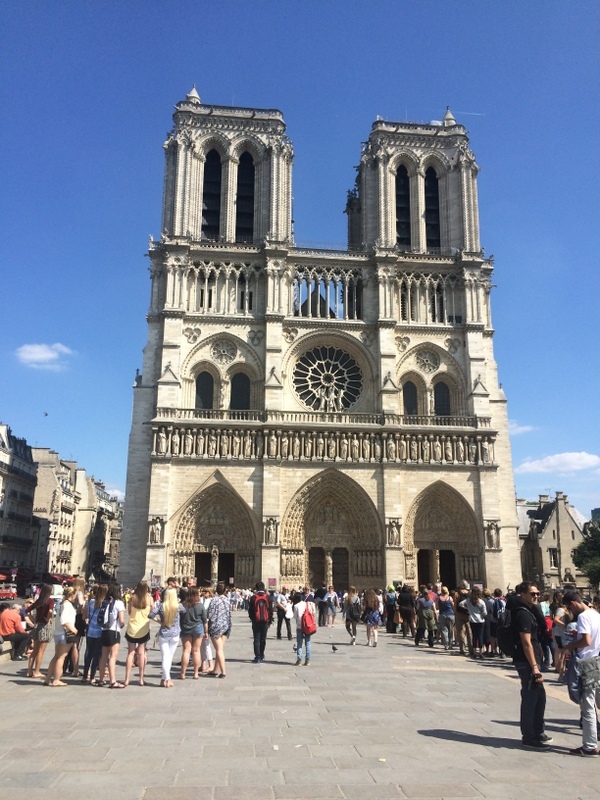 I chose to walk and got to see many of the key sites in Paris, including the Eiffel Tower, St. Peter’s and Notre Dame. I crossed a number of rivers and got back to the apartment a bit before 5 pm and then started this blog post. I’m looking forward to the next few days in Paris and getting to see the major sites. Drew still has some school work to do and Ilise’s feet are really bothering her so I’m not sure how much walking we are going to be doing around Paris. We might be taking bikes or the Metro more here than we have in most places. I’ll keep you posted as always.